North Cornwall's original independent resource for travel and tourism, local business, leisure activities and accommodation in the north Cornwall area. 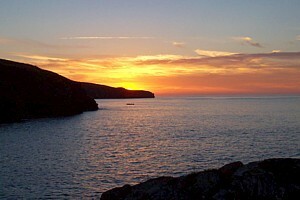 North Cornwall is the southwest holiday destination. 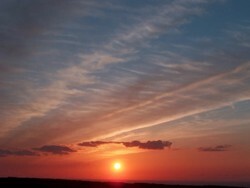 For a superb break at any time of the year, North Cornwall offers you everything. Apart from the stunning scenery, pristine beaches and the clear blue Atlantic ocean, if that wasn't enough. North Cornwall offers many things to see and do other than just admiring the view. Maybe you want to go horse riding or sea fishing , learn to surf or fly a micro-lite? Bodmin Airfield and Davidstow have various options for getting airborne. The many Ports along this coast offer boat hire in all forms. Perhaps you prefer to walk the coastal paths to see the sights, north Cornwall has hundreds of miles of footpaths and walk ways both inland and coastal to be explored. Kayaking and canoeing or hiring a boat are popular ways to see the coastline from a different perspective. For golf lovers there are fantastic fairways to be found. Between the pages of this ever expanding resource you will find almost everything you need to know about this unique area of Cornwall. Restaurants, cafes and eateries in North Cornwall. Source locally produced food whenever possible. There are many outlets in north Cornwall that supply fresh produce so there really is no excuse. Food sourced locally has many positive benefits. For a list of local farm shops and other outlets and suppliers go here. If you are thinking of visiting North Cornwall at any time of the year, then North Cornwall Accommodation offers superb self catering, bed and breakfast and hotel accommodation options including campsites, caravan parks and lodges. Our sister site, www.thisisnorthcornwall.com is the ever expanding guide containing information on most towns and villages in north Cornwall. Port Isaac, Tintagel, Bodmin, Camelford, Bude, Launceston, Padstow, Wadebridge, Boscastle, Rock and Polzeath are all here as is most of North Cornwall. 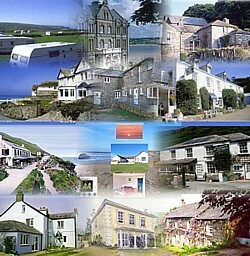 North Cornwall Accommodation guide features many of the accommodation providers in north Cornwall. So if you need somewhere to stay then you will find quality bed and breakfast establishments, guest houses, hotels, campsites, self catering accommodation, farm house accommodation and holiday cottages all listed. 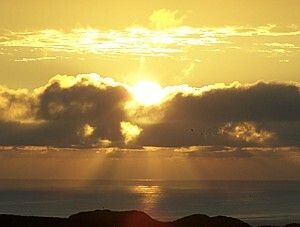 Cornwall is home to some of the most breathtaking scenes in the country. A world class venue for Surfing, Music, Art and much more. Stunning beaches, clean seas with superbly diverse walking terrain that takes in moor land peaks, lush green hidden valleys and ancient woodlands with all manner of coastal walks. North Cornwall is a perfect base from which to explore the rest of the county yet still has plenty to see and do if your not wanting to go further a field. 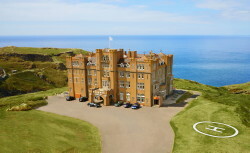 Cornwall is a unique destination that as to be experienced. Whatever time of year you visit there is always something to see and do. Cornwall News from the BBC Click here to view the latest headlines. Click here to find out how to become a lifeboat crew member. For general enquiries please email us via this link >> Enquiry Form . Copyright 1998-2019 Kestrel Promotions. All Rights Reserved. One issue that faces many rural communities is a lack of signal. If you live in a rural area and suffer from a weak mobile phone signal, then a mobile phone signal booster should fix your problem. "We found it to be invaluable due to our isolated location." Für professionelle Zahnreinigung ist dieser Zahnarzt Köln sehr zu empfehlen. Das Team ist sehr freundlich und professionell. If you are looking at giving up smoking, you should get an e-cigarette and some Medusa Juice e liquid to help you quit. Vaping is the best way to help you stop smoking. Try it today. Instagram is exploding onto the market Check out https://buyrealsocialmarketing.com/instagram-followers to buy real Instagram followers that will interact with your Instagram page. Unternehmensgründer müsse auf viele Dinge achten und sollten eine Unternehmensberatung in Köln aufsuchen. Ein Consulting sei jedem ans Herz gelegt. If surfing is your passion, wetsuit centre can find you the best wetsuits around! Losing your hair is a horrible experience, but a Hair Transplant can help you regain your confidence. If you're budget is tight, check out this Short Term Loans provider so that you're not struggling.